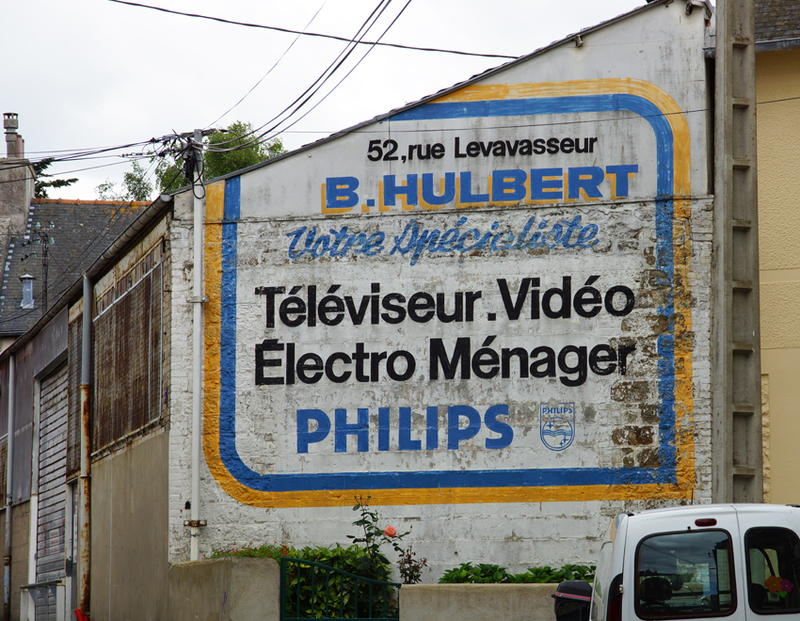 The Breton seaside resort of Dinard is well-known for its blue-striped beach tents, but there's another stripy eye-catcher in the town. 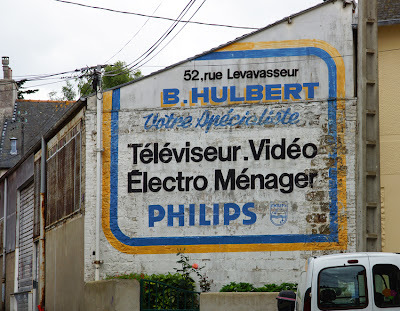 This sign makes up in cheeriness what it lacks in age: it's advertising an electrical goods shop which offers TVs, videos and household appliances. However, that all breezy, modern promise has gone the way of the video recorder. The address is now occupied by a bank.